Today, we share a photo of an outdoor fish market on the island of Santa Cruz, one of the Galapagos Islands. Where the pelicans converge for any fish that might be up for grabs. How has everyone else interpreted converge? See here for more! Can you see the sneaky sea lion? Hope you all have a terrific weekend! Tell us what you think of our choice for the theme this week. 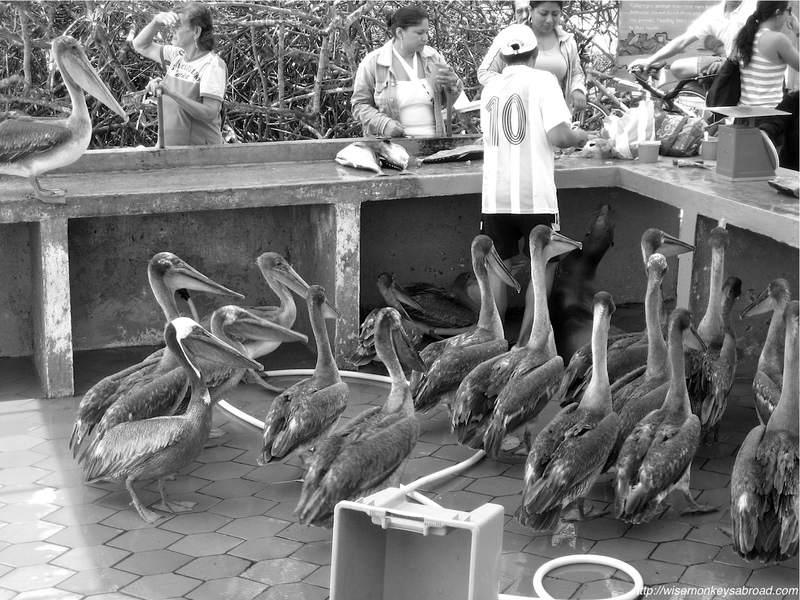 This entry was posted in Galapagos Islands, South America, Weekly Photo Challenges and tagged converge, Daily Post, Galapagos Islands, monochrome, outdoor fish market, pelicans, photo, Photography, Santa Cruz, sea lion, Travel, Weekly Photo Challenge.